Industrial moving is not a easy task whenever household shifting is one of the common move type but industrial moving is toughest move type amongst all. Industrial shifting includes loading, unloading, packing and unpacking of heavy industrial goods.Industrial shifting needs lot of work like planning, expert labours, best equipment etc.Our professionals specialize in moving heavy machinery and complete manufacturing facilities. Our team is moving your equipment securely and minimum cost . 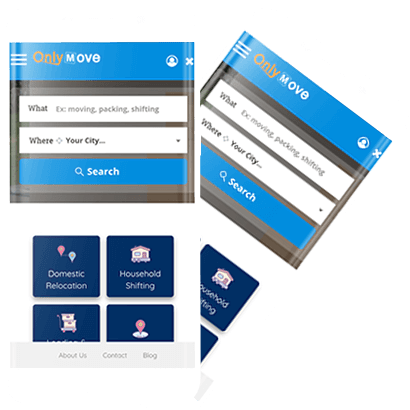 Our expert team : Only move have expert team who have good knowledge of moving industrial items from one place to another . Timely Delivery :We move your equipment’s with in the time because we know how important is industrial shifting for our clients. Safe and secure services: We have team of professionals who move your items safely and securely on your destination. Reasonable price : only moves provides industrial shifting services in reasonable price .so that everyone use our packing and moving services . New techniques :Our professionals are highly experienced ,they know all the new techniques for moving your goods . Quality packing material : We use good quality of material for packing your goods . in industrial shifting equipment’s are so heavy so it is very important to pack the items with extra care and quality materials . Whenever you think about industrial shifting you should make a propre plan before that . Moving business is not a easy task so that you should have a proper course of action. Before shifting you think about few things like how and when the process will occur and what would be the mode of shifting. Industrial moving is big shifting type hence you should clearly note down the list of items that you would be moving the new place . and make a list of prices also so you know about the loss and damages . Whenever you take a step for industrial move you should check all items and also check the damage items and keep them away from the load . Only move have trained professionals who move your industrial equipment with in time and without any damages . We have different team for all different process like we have packers , movers , experts drivers and friendly office staff . Our team know about new technology and methods for shifting the heavy items. Shift machinery items is not a easy task but only move have professionals tam who know that how to shift these items . They move your items from one place to another without any damages . Our team provide service to the customers that are exactly as per their requirements and also coordinated with the clients to understand their requirements. Our team use advanced technology in shifting and provide safe and secure service to the customers within the time .